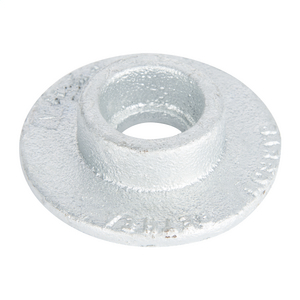 Centering washer, 2 3/4" outside diameter with 1 1/2" diameter spacer. Internal hole is 13/16" for 3/4" bolt. Hot dip galvanized per ASTM A-153.